You must have a clean legal background - Clean Drivers License - Verified good work history - No fear of heights or small spaces - Able to conform to appearance and grooming requirements - Call 813-628-8449 for more information. 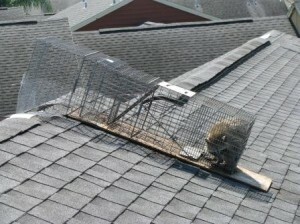 The first step for Raccoon Trapping or Raccoon Removal is knowing your adversary. 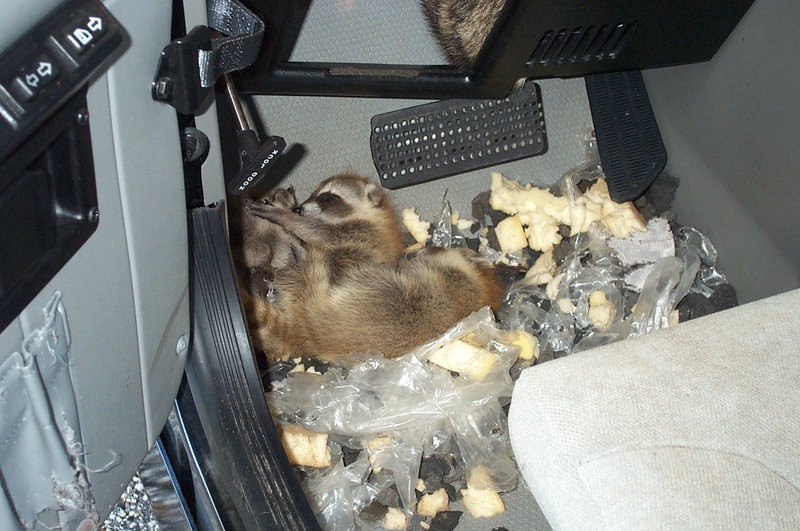 The raccoon is about the size of a small dog, and is most notable for its black mask and bushy ringed tail. 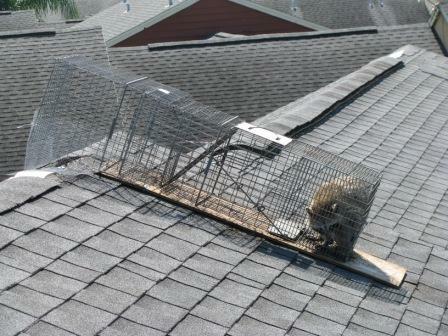 Raccoons are common throughout the state and occur everywhere there are trees or buildings. They will use an opening in either as a home. 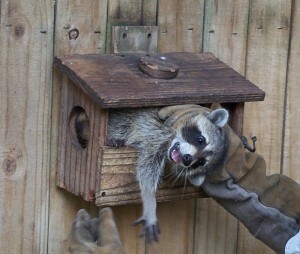 Raccoons eat all kinds of foods (plants and animals), and will also scavenge. 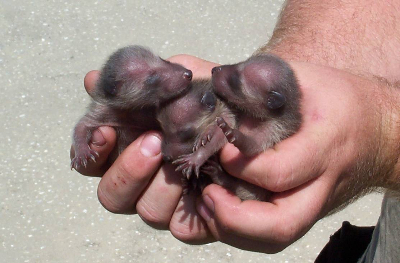 They will feed on fruits, plant material, eggs, small animals, and garbage. 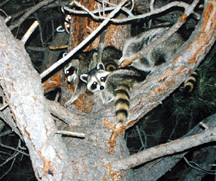 Raccoons usually become active in the late afternoon and throughout the night. Daytime activity is not uncommon either. Sometimes they like to “hit the frig” just like people do. 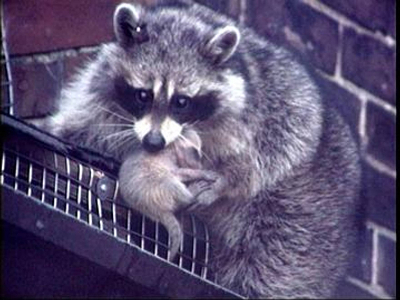 Problem raccoons are usually the result of chronic feeding by humans. This “feeding” is not always intentional. 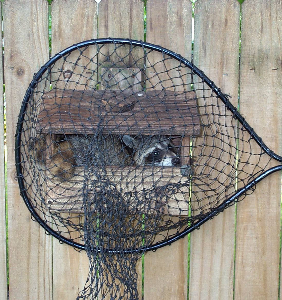 Bird feeders, trash cans, outside pet food, barbeque grills, fruit trees, even suntan oil has been snatched up by these marauders. 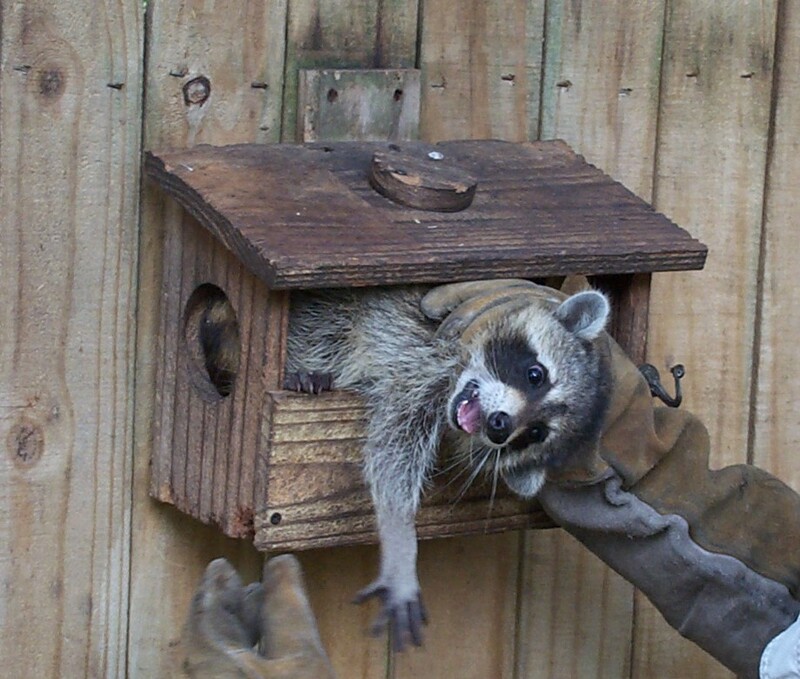 Wild raccoons accustomed to being fed will generally loose their natural fear of humans and seek to move closer to their food source–your house. 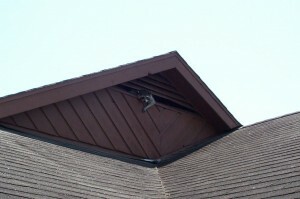 Once raccoons take up residence in your attic or outbuildings they can become very destructive and difficult to remove. 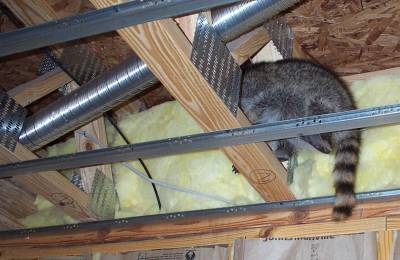 Attic insulation, phone lines and other wiring will be destroyed. 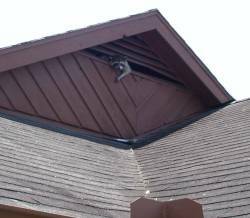 Air conditioner ducting may be ripped apart for bedding. We have removed a mother and babies from a Sky Crane that was used to lift materials for the construction of a high rise building. Even a brand new Hummer has been the target of a nesting site. The mother ripped the carpeting, seat padding, and door panels apart to line the nest site. 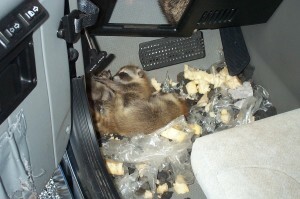 This little squatting episode cost thousand to repair.You can see the mothers fur at the top of the picture.